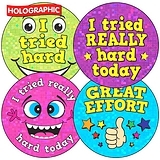 These holographic stickers are specifically designed for rewarding effort in the classroom. 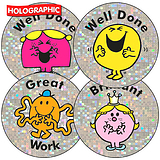 A favourite with Primary and Secondary teachers. 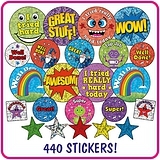 Give your pupils a shiny treat to say how well they tried, they'll love them!